As you might have expected, new U.S. President is launching an attack on states’ rights to regulate legal marijuana consumption and threatening to establish central control. According to White House press secretary Sean Spicer, the federal administration doesn’t approve of the state-level legalisation of cannabis and plans to enforce the national ban. That would be a sudden U-turn in comparison with the previous government under Obama when states were mostly left alone to determine and observe their own laws regarding medical and recreational use of marijuana. In fact, such a measure would be an echo of George W. Bush, who routinely sent federal agencies to raid dispensaries in California and other states. While Spicer didn’t specify how far Donald Trump’s government is willing to go, he did hint at a higher level of involvement by national services such as the DEA. Of course, it’s a well-known fact that federal regulations in the United States are in direct conflict with statewide laws voted in by citizens of numerous constituent legislations. Since most drug investigations are carried out locally by specialised agencies, there is little need for federal oversight except in cases that involve international or interstate smuggling. Sending federal agents to suppress small-time cannabis shops in states where they are operating legally and paying taxes seems like a waste of budget resources at best and serious infringement on states’ constitutional status at worst. For what it’s worth, Trump has been on record saying that marijuana is evil, although he softened the rhetoric during the electoral campaign. He did hedge his position by expressing support for medical marijuana, recognising it has therapeutic value. The latest change of direction is probably an attempt to appeal to his conservative base, which is predominantly white and highly religious. 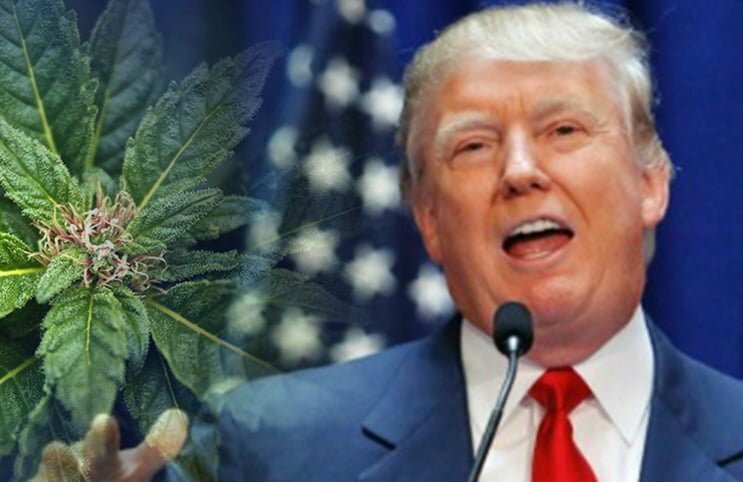 However, nationwide support for legal marijuana has never been higher, so this could end up being a strategic mistake for Trump if he faces significant backlash from supporters, as is likely to happen. Let’s remember that Bush never managed to stop the legalisation process or even slow it down, despite the occasional raids that were prominently featured in the media. In fact, pro-legalization movement steadily gained steam over the past two decades and it is difficult to see what exactly central government can do against it. However, Trump has already demonstrated that he is capable of controversial actions, so this is definitely a situation worth monitoring in the near future.